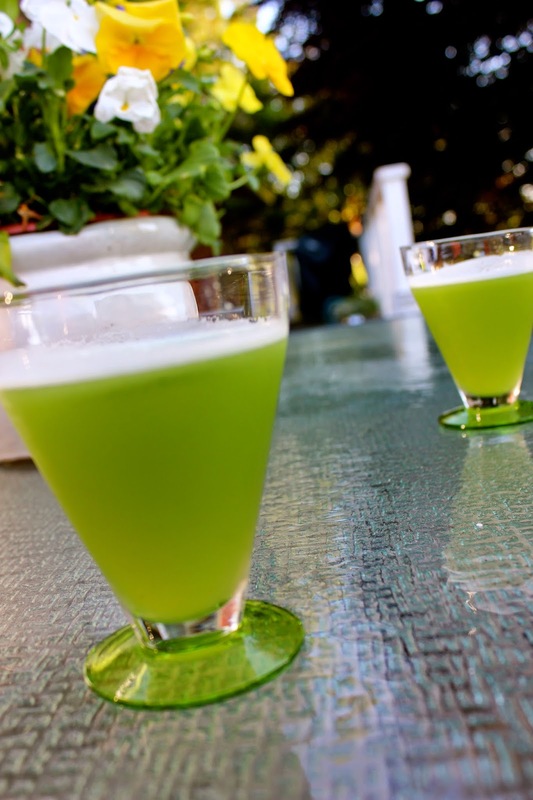 With summer sun approaching, it’s time to break out the juicer for some super refreshing quenchers. While many drink juice to start the day, I enjoy a nice juicetail to end my day. 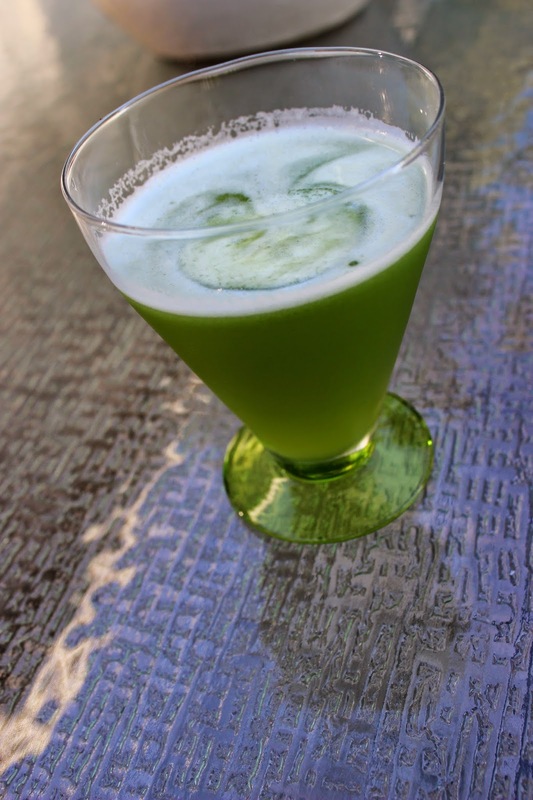 With my favorite spirit gin, I shook up some fresh cucumber juice, lime and Kara’s Minty Simple Syrup. Cool, crisp and zingy. Cut the English Cucumber into large chunks and throw it through a juicer. If you do not have a juicer, you can puree the cucumber in a blender or food processor, then push the pulp through a fine mesh strainer into a bowl. In a cocktail shaker filled with ice, pour in the cucumber juice, gin, lime juice and Minty Simple Syrup. Shake vigorously and pour over ice with a cucumber round float. Serves 2. Stun your friends with the cool green hue!